The ALSCO Group has in place an environmental policy that is aligned to the regulatory standards of the relevant local and national authorities. We consistently endeavour to exceed the standards set for our industry. The aim of the policy is to conserve natural resources and contribute to the improvement of the environment. 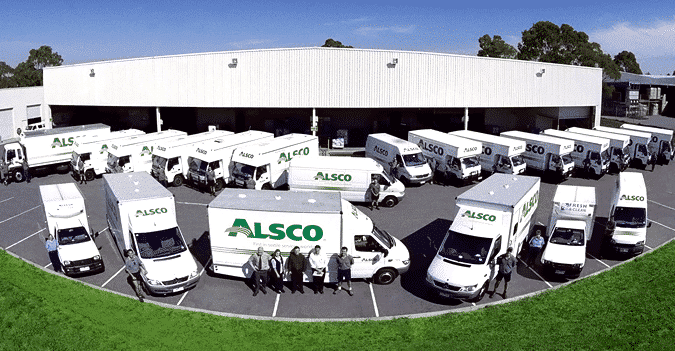 All branches and subsidiaries within the ALSCO group are required to comply with the appropriate Clean Air and Trade Waste standards. Alsco’s commitment to occupational health and safety is to protect employees and others at our workplace(s) from injury and ill health caused by the workplace and to comply with all relevant safety legislation. Resources in line with the importance attached to occupational health and safety will be made available to comply with all relevant Acts and Regulations and to ensure that the workplace is safe and without risk to health. (a) Managers will implement this Policy, being responsible for the health and safety of all persons working in any operation under their control. They will ensure that Supervisors/Team Leaders who report to them are provided with the necessary instruction, training and resources to implement the Policy. Managers will also ensure that adequate supervision is provided so that employees can work safely, and hazards/unsafe practices are eliminated or controlled. Failure to implement the policy may result in disciplinary action. (b) Supervisors and all persons directing the work of others will be responsible for all people in their charge. They will actively take steps to identify hazards, which could cause any harm to any person in their area of control or operation, and take prompt action to control them or report them to another person who has authority and capability to do so. Managers and Supervisors/Team Leaders may delegate safety duties to others, but the responsibility remains with them. (c) Employees must take care of their own health and safety as well as that of their fellow workers to the extent of their capability, by following all safety rules, procedures and instructions of their Supervisors/Team Leaders. They must not misuse safety equipment and must report all hazards and injuries or ill health to their Supervisor/Team Leader or another management person if the Supervisor/Team Leader is not available. (d) Contractors and sub-contractors engaged to perform work on the organisation’s premises or locations are required, as part of their contract, to comply with the OH&S policies, procedures and programs of Alsco and to observe directions on health and safety from designated officers of Alsco. Failure to comply or observe a direction will be considered a breach of the contract and sufficient grounds for termination of the contract. Active involvement and commitment of Managers, Supervisors and Team Leaders. Participation of and consultation with employees on safety matters of significance. Provision of information, training, instruction and supervision, as necessary to ensure the safety of employees.